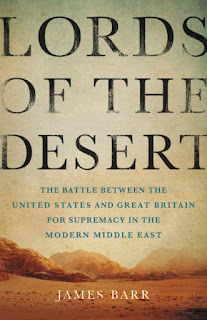 Despite how it may seem, these tensions began rising before the end of World War II, and Barr vividly chronicles the British government's rising frustration as their American counterparts refused to pursue the same policy objectives in Egypt, Palestine, and Saudi Arabia in the years that followed. One example of where the countries battled, which was revealed by recently declassified U.S. State Department files on Iran, came in 1951, when the U.S. foiled a British attempt to split the country by encouraging the powerful southern tribes to declare their independence. The cast of characters in this drama includes American presidents Harry Truman and Dwight D. Eisenhower, Saudi King Ibn Saud, and Winston Churchill, who once professed a willingness to kiss Uncle Sam on both cheeks, "but not all four." There is also a look at murkier, lesser-known figures like the CIA officer Kim Roosevelt and the British oil exporter Wilfred Thesiger. In a part titled "The Gift of a Gun," Barr writes of a time right after Eisenhower took office, "In the spring of 1953, Foster Dulles became the first U.S. secretary of state to visit the Middle East - a move that signaled a new era of more active American involvement in the region. On May 11, he arrived in Cairo and met the man the CIA had helped to power the previous year, Egypt's prime minister Mohammed Neguib. "Talks between the Egyptian and British governments over the Suez base had started late in the previous month, and Dulles was under the impression that they were on the verge of delivering an agreement that would fix dates for the withdrawal of British forces and, further in the future, for the handover of the base to Egypt. The secretary - who, as ever, had the fight against Communism foremost in his mind - was keen to start discussing the regional defensive pact, which would give the British government the political cover that it needed before it announced that it was abandoning its biggest foreign base. The Middle East Defense Organization he envisaged, in which the United Stated and Britain would play major roles, would organize the states of the region to confront the Soviet threat. But (Mohammed) Neguib had bad news. "Dulles ignored Churchill's complaint. With Ike's approval, the secretary of state drafted a new proposal for his ambassador in Cairo to give to Neguib so that Neguib could send it back to Washington, aware that it would elicit a favorable response. On July 15, 1953, Eisenhower replied, offering economic aid and help to strengthen the country's armed forces if Egypt could reach a deal with Britain over the base. In hinting at what would follow if the Egyptians played ball, the president's gift of the pistol to Neguib was quite deliberate." 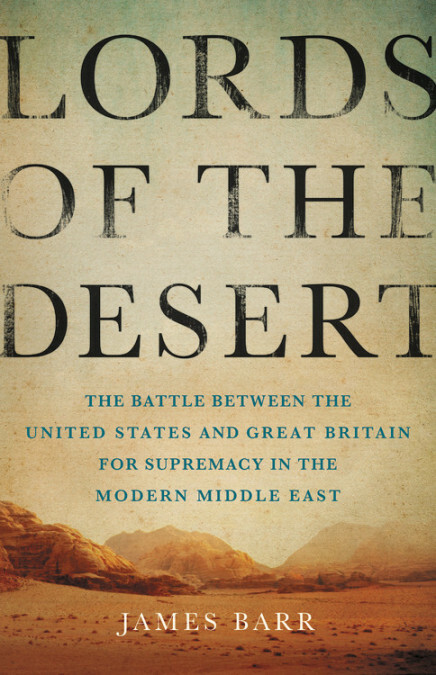 Lords of the Desert, incredibly researched and vividly told, is one of the best books you will read on the United States' involvement in the Middle East.